When you go on vacation, do you take home a souvenir? Sometimes we do. For instance, last year my husband and Little Bit got shirts from a restaurant we really liked in Orange Beach, Alabama. 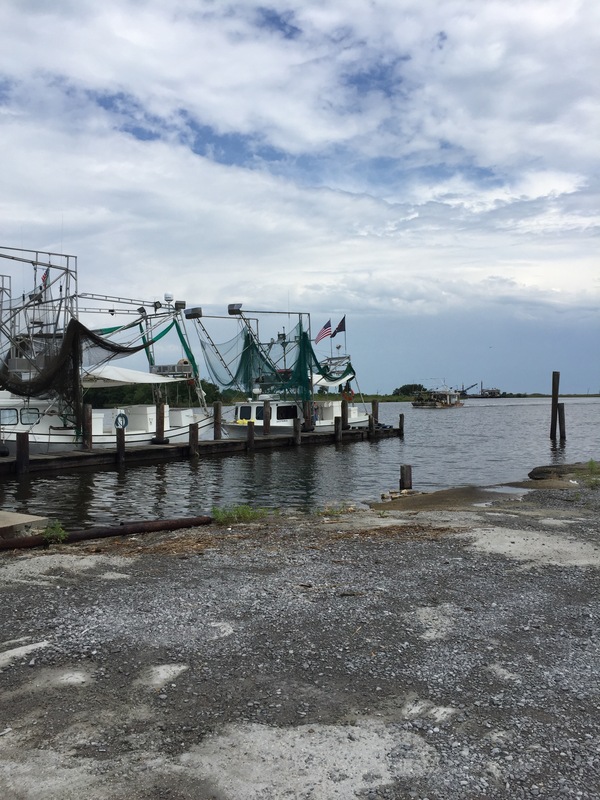 When we were leaving Grand Isle, Louisiana a few days ago, for our “souvenir”, we did something a bit different. We stopped at a seafood shop on the canal to buy some fresh shrimp to take home. I have to say, it was definitely a different shopping experience than we’re used to. Here at home, the only shrimp we can get is in the frozen section of the grocery store. When we walked into the seafood shop, it looked similar to an open type warehouse. In the middle were three large containers. 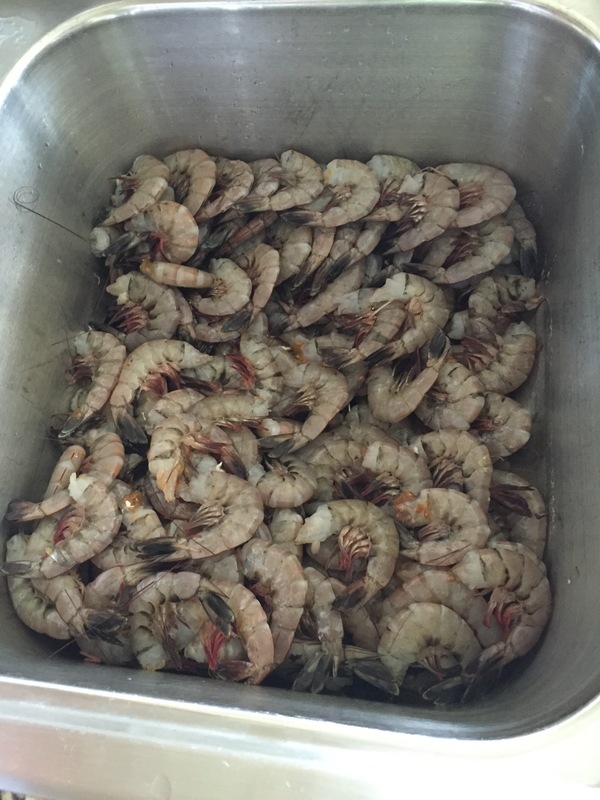 One was full of ice and the others were brimming with fresh shrimp. It was really neat to see. 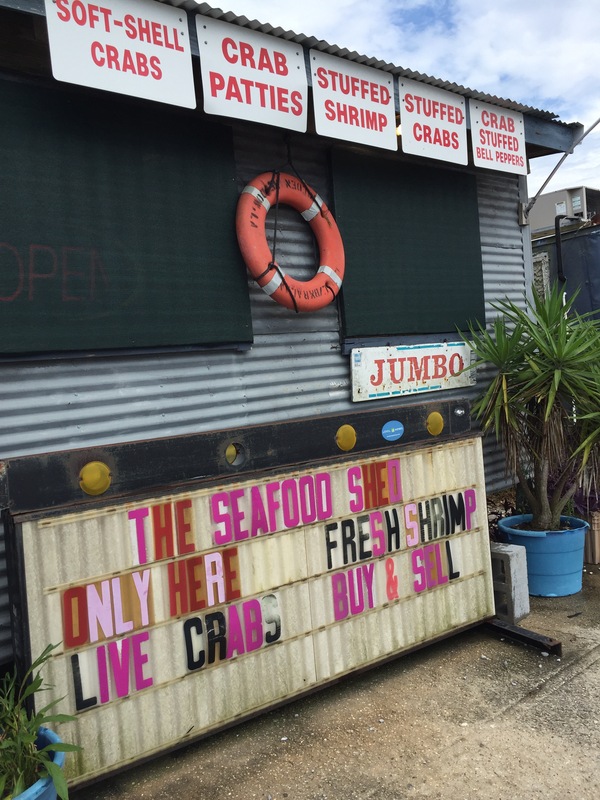 I mean, here this place was, right near the water, with shrimp boats docked just outside. All we had to do was, walk up to the containers and choose which size we wanted (there were three), and tell them how many pounds. A few moments later, he had them scooped into the scale, bagged up, and ready to go. From start to finish, including paying for the shrimp, the whole process took about ten minutes. 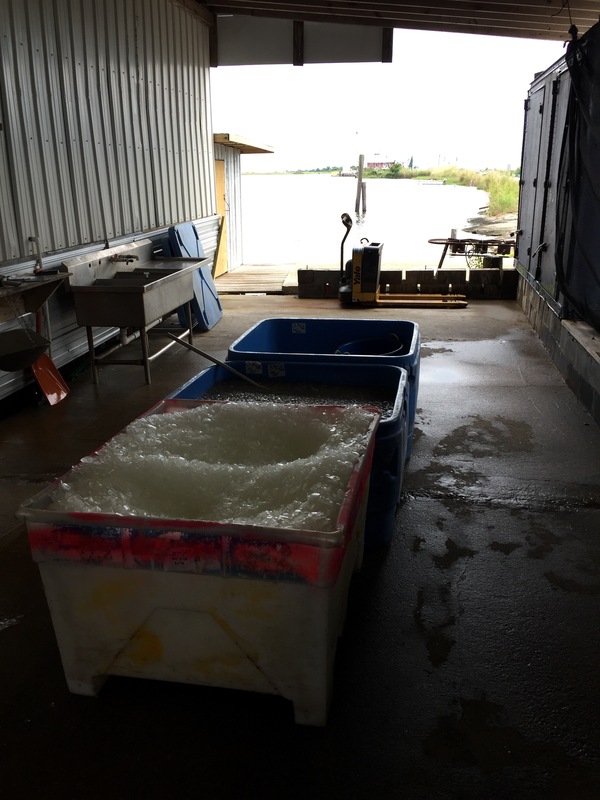 For our trip back home, we had a separate cooler and ice for the shrimp, and stopped every few hours to make sure they were still iced down. They made it home wonderfully. Last night my husband cleaned, bagged, and put them in the freezer. Months from now I can just hear the conversation as we sit down to a delicious meal of gulf shrimp. We’ll probably talk about how much fun it was to stop there, then chuckle when we recall that the amount we paid for the fifteen pounds came to less than the price of two t-shirts. Oh! Fabulous idea, Miri! I love what you said about seafood, chocolate, honey or jam! And cheese is an excellent idea! Most of those wouldn’t require a cooler or take up much room! Yum!! Memories are the most important souvenirs from any time spent with the people most important in our lives. They are the one irreplaceable thing you carry with you to the end. 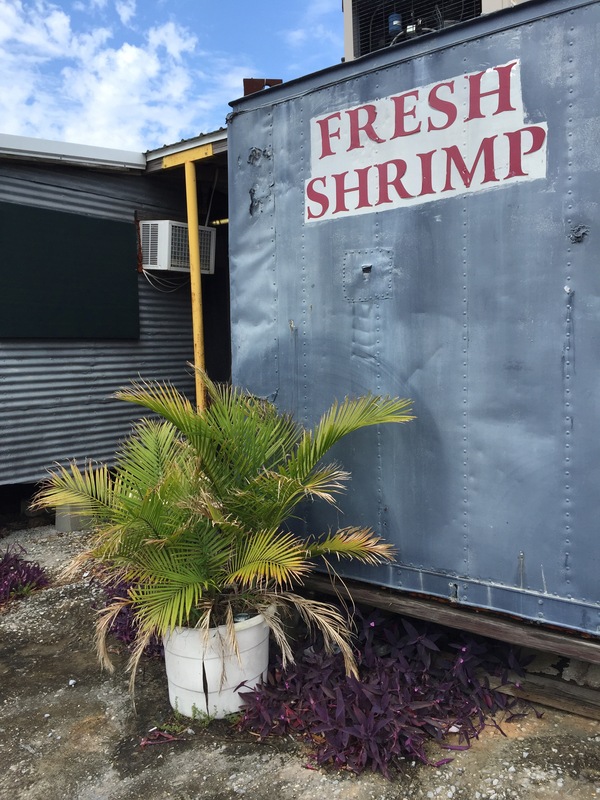 With the shrimp boats right outside the door, it doesn’t get any fresher than that!!! 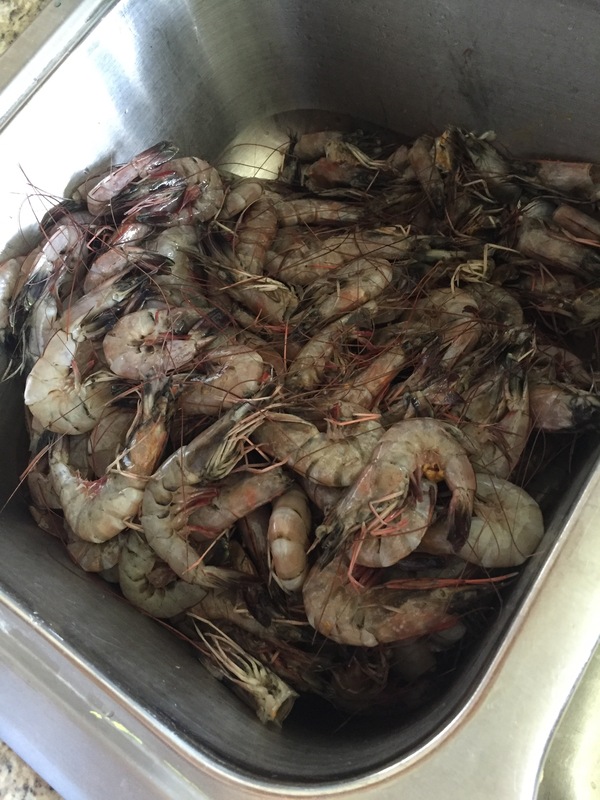 The shrimp looks SO good and I’m sure it will bring back very fond memories when you have it for dinner!! You’re right! Nothing fresher. It was a neat experience, for sure. We’ve only been home a few days, and every time I open the freezer and see them, I smile. Even better!!! :) If you came to get ’em, I’d give you two bags! Oh man, excellent idea! Love the magnets idea. So smart!